Digitisation opens up many possibilities for all of us. Whether in the private or professional context, numerous processes are taking place much faster than before, communication channels have been changed and are constantly changing. And a wide variety of individual wishes in the context of consumption can be implemented more easily and cost-effectively. New connections between industry and customers have been established. The (almost) unlimited possibilities let our expectations grow generally. The desire for individual treatment is becoming increasingly noticeable in this context. The satisfaction of the individual and his or her needs remains the highest premise for business success. However, the extent of individualisation possibilities is now becoming more and more extensive and the pressure on suppliers in the industry business is constantly growing. The individual customer no longer wants to be just one of many and doesn’t want to be handled like the others. In the event area, the challenge of individually addressing the masses of visitors is described in the following way: As the reach of different events grows, more and more contacts can be reached at the same time. Therefore it is essential to be able to reach and track large numbers of customers and interested persons quickly and easily. There is a significant risk that the personal aspect of communication disappears. You don’t necessarily need to be a communication scientist to realise how important this point of view is. In fact, that the contact turns out to be really profitable, each individual must feel personally addressed and valued. This aspect can’t be ignored in the light of the new possibilities of information and communication technology.Today, digital communication can be designed even more individually. Innovative solutions enable customers and prospective customers, to be tracked quickly, easily and in an individual way and to nurture them with suitable information. The personal contact level is established immediately, even if the contact is actually indirect. The potential buyer realizes that his or her individual wishes are being taken into account and that he or she only receives the information that really enriches him or her. Due to the growing flexibility of the numerous solutions, different tools can be used in parallel and synchronized with one database. The best of different worlds can be brought together: The personal contact of the analogue world and the speed and simplicity of the digital world. The above-mentioned solutions show how quickly and easily the first steps towards marketing automation can be taken. Such an entry into automation, especially for small and medium-sized enterprises, which do not necessarily have the resources of digital giants, offers massive potential for simplifying work and at the same time increasing efficiency. Marketing campaigns can be planned and implemented more efficiently by means of marketing automation. Mailings that can supply interested individuals with more detailed materials, can be set up quickly and sent to individual target groups. In the same way, such mailings can also be individually customized for the client along his or her customer journey and can be sent at the most suitable times. Especially in the phases “Awareness” and “Consideration”, valuable contact opportunities with potential customers arise again and again, without annoying them with information that is not interesting to them. Companies can present themselves as neutral information suppliers on specific topics. Once the prospective customer has finally been won over as a customer, the above-mentioned solutions can also be used in the “purchase”,”retention” and “loyalty” phases in order to strengthen a lasting relationship with the customer and to place service and additional services. “Whether in the context of digital education or in modern customer communication,”relevance” is the highest maxim when it comes to spreading information to a target group with clearly definable needs. If you don’t respond to the wishes of your target group today, or only on the surface, you will notice this quickly “. Lead information, can be used in a more specific way to evaluate and qualify potential customers. The transfer of information between marketing and sales can occure easier and faster. Visualize the different stages of the prospectives and the ideal way along the Customer Journey. Assign each level to the content that the interested person receives. 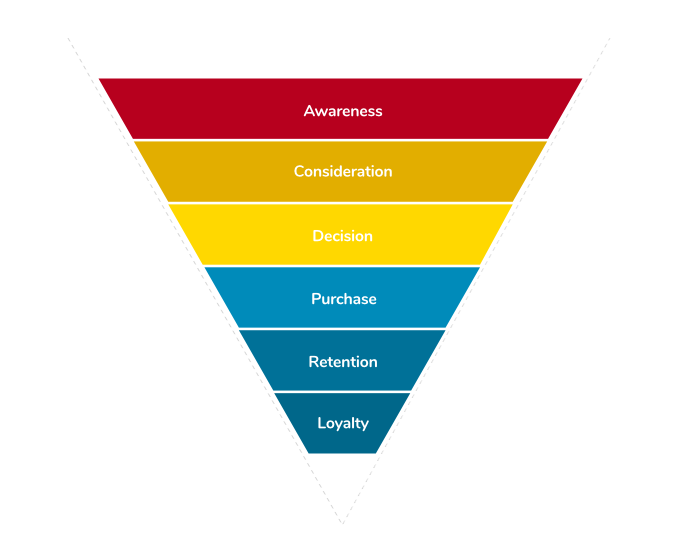 The marketing team is aware that new leads can enter all stages of the Customer Journey. Make sure that you can answer all needs and questions of the stages with created content (e. g. checklists, eBooks, brochures, etc.). Know the Life Cycle Stage of your prospective customers! With a clear assignment to a phase, the following steps (defined in point two) can be implemented. When it comes to contacting your leads with suitable content, the prospective customer can be served individually and guided along the Customer Journey. In order to increase success and effectiveness, this process must be automated. For example, certain suppliers already guarantee automation of the Nurturing process. Through the exact definition of the individual Customer Journey Stages, interested clients are approached according to their needs. Step by step, the leads are qualified and can be handed over to sales.